We ensure all orders are given the same care and attention, regardless of size, as we want to get your order correct first time. We will only send out the best products, and each order is checked and packaged thoroughly to arrive with you in perfect condition. We are a family-run business and will treat you fairly and honestly. “Honesty is the best policy” when you shop with us. As MDF moulding manufacturers who sell direct to members of the public and trade customers across the United Kingdom, we are your best choice when it comes to skirting boards, architrave, window boards, dado rails and other high-quality mouldings. 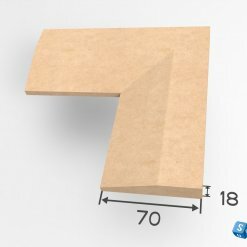 We only use industrial-grade MDF that is bonded together with moisture-resistant resin and every product that we manufacture has to pass our rigorous quality control inspections before it is declared fit for sale to you, our customers. 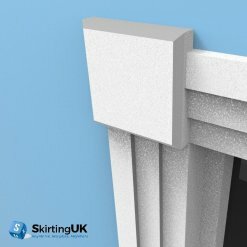 Whether you are a member of the building trade who needs a large quantity of skirting board to complete a renovation project on which you are currently working or a homeowner who simply wants a couple of window boards to replace those that have rotted over the years, we can meet your needs at very attractive prices. If you would like to place an order for skirting boards or architrave, you can do so by choosing the relevant measurements and finish on the individual product pages before adding them to your virtual shopping basket. 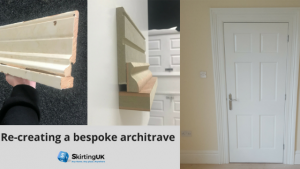 If you are not sure which type of skirting board or architrave you would like to use in your home, you are more than welcome to take advantage of our free sample offer. 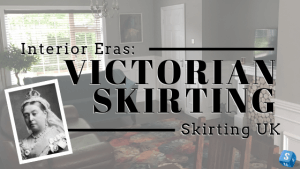 Simply click on the free sample image next to the products in which you are interested, and the samples will be added to your shopping basket. We charge a nominal postage fee but the samples themselves are completely free of charge. 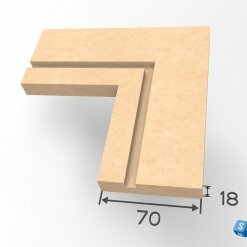 All our samples come in standard sizes but if you would like a custom sample cut to specific dimensions we can provide these for a small charge. Skirting UK are a one-stop shop for skirting boards, architraves, dado rails, window boards and much more MDF products for the trade and general public. 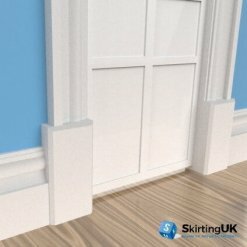 From Bullnose Skirting, Ogee & Victorian to Torus & Square Skirting, we supply a wide range of Architraves & MDF Skirting boards at trade prices with cheap delivery and Free delivery for orders over £500, but if you can’t see what your looking for please give one of our skirting specialists a call on 0121 289 4940. 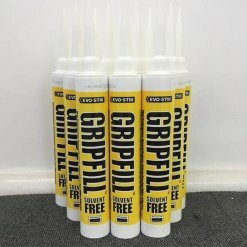 To sustain a high-quality product we check everything we send for imperfections and if you want to see the quality of our product feel free to order one of our free samples. 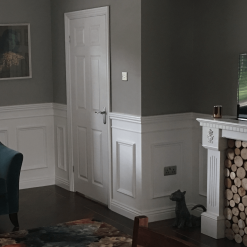 Due to its durability and lack of impurities, over the last few years MDF has become the material of choice for skirting boards, offering better value for money than softwood skirting. 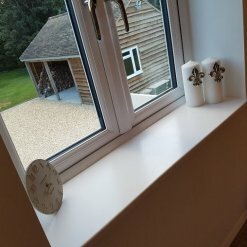 It’s more cost effective than oak or pine and is much easier to work with for tradesmen or for general DIY usage. 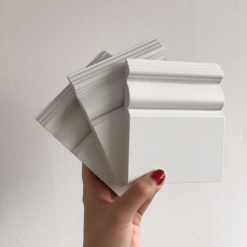 We only use the highest quality of materials for all our skirting, architrave and dado rail products and we stock matching patterns or designs of each so you can continue the theme throughout your decor. 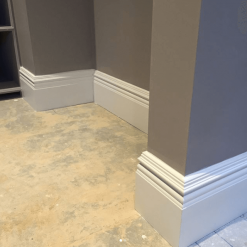 Whether you are looking to supply your clients with durable, MDF wall features, or you need to protect the walls at your home, Skirting UK are on hand to help. 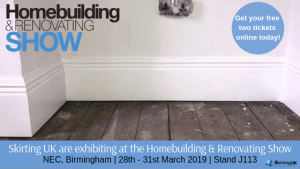 Based in Birmingham, we supply moisture resistant MDF skirting boards, architraves, window boards, dado rails and picture rails to both domestic and commercial clients. 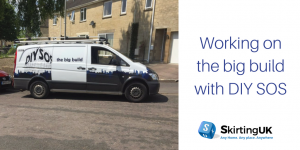 Offering products to businesses at trade prices, delivering to customers located anywhere in the UK. 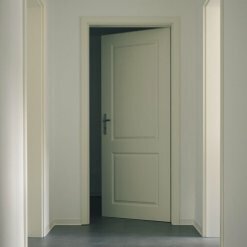 Our company takes great pride in maintaining affordable prices and preserving the highest standard of customer service. 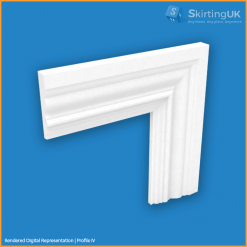 We pride ourselves in giving customers exactly what they want, so you have the option of customising the dimensions of your skirting or architrave when choosing from our vast range of designs. 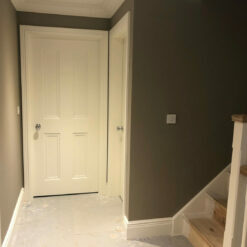 If you’re unsure of your requirements or just want some advice give us a call and we will be pleased to help. 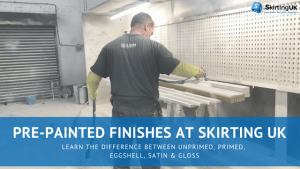 We can send items primed, unprimed or with an eggshell or gloss finish to save you time, we can also leave a rebate for cables or pipes so the result of your project gives a clean tidy feel. 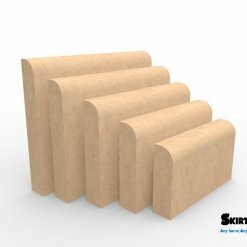 Whether you order a small or large quantity from us, we will take great care when preparing your order and will pack it in such a way as to ensure it is not damaged in transit, delivered to you safely. We have many years of experience in the industry and thousands of satisfied customers across the country. 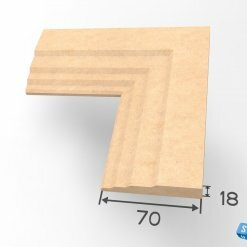 How to uninstall a skirting board?